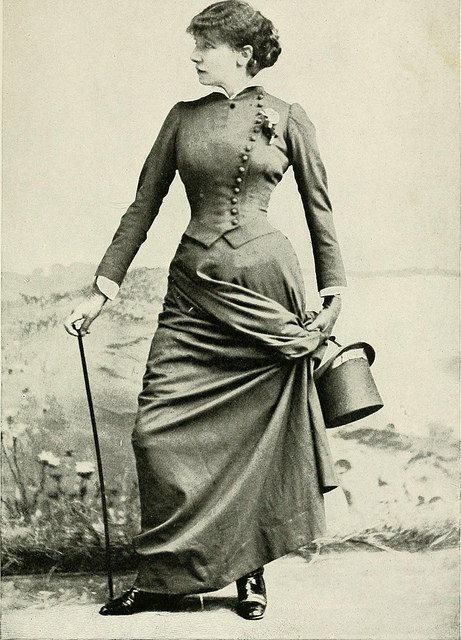 This stunning image of Sarah Bernardt poses multiple questions as while dated 1907 the outfit seems to hark from a few decades before that. Seeing the very unnatural line of a backdrop behind her this was likely a shot from a performance with its own retrospective costume. Fortunately we have managed to source the very garments necessary to steal this Edwardian take on the late Victorian! Buy it or make it by clicking the tiles!